Over many years I have been creating music using a variety of technology. This article describes how I created these tracks, the equipment I used, and some examples where possible. 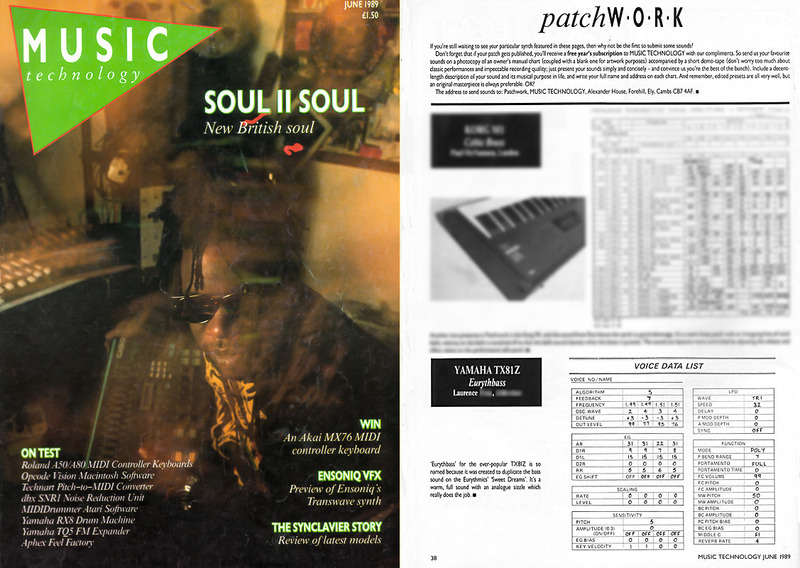 UPDATE: I have found scans of the magazine that my patch for the Yamaha TX-81Z featured and have amended the article accordingly. It all really started with me mucking about on a piano in the boys club I used to go to. No one seemed to mind me making a racket as they were all busy doing their own stuff. I was interested in music and my music teacher encouraged me to continue practising. I started off with a Bontempi Organ that I got at Christmas many, many years ago. It was one of those ones with extra buttons on the left hand side that played a chord, so you could have some sort of accompaniment. I learnt to play the songs in the books that came with it, but didn't really compose anything myself, or record my playing efforts. 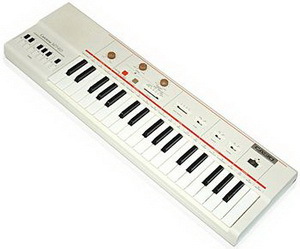 I then progressed on a Casio keyboard, the MT-40, with drums and auto bass. This sounded a bit better, but didn't really lead to any great tunes. Then I got a Casio VL-Tone and everything got better. This mini monophonic keyboard was a calculator and a keyboard, with rhythms and a small sequencer. It had some preset sounds and you could also tap in a sequence of eight numbers to create a sound. 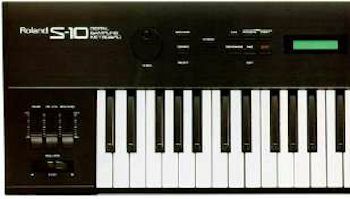 Anyone who listened to music in the 80s would recognise it as the synth used by the Human League on the track Get Carter, from the album Dare, and also used by Trio on their hit Da Da Da. It had a distinctive sound, and as a friend of mine also had one we could create two note harmony sounds. Unfortunately as I progressed through my keyboard buying I sold it a few years later, which I now regret as it was a great little synth. Thankfully I found a PC emulator of the VL-Tone which mimics the circuitry of the original synth. I used to have the use of some keyboards at school, namely a Roland SH-101 and with my own keyboards I produced a few tunes. I also had access to a Roland Saturn 09 which I played in a group that met after school. We did one track with just the gutarist and me playing another Roland keyboard with an auto bass and drum pattern, leaving the rest of the group out. I can't remember what keyboard it was and although I did make a recording, I have yet to find the cassette with it on it. When I did stuff on my own, I didn't have a drum machine, so I made looped drum patterns from songs, like the twelve inch version of State Farm by Yazoo, which had a few bars of just the drums. I was quite good at getting drum loops this way, although I did buy a few professionally produced tapes which had drum loops. 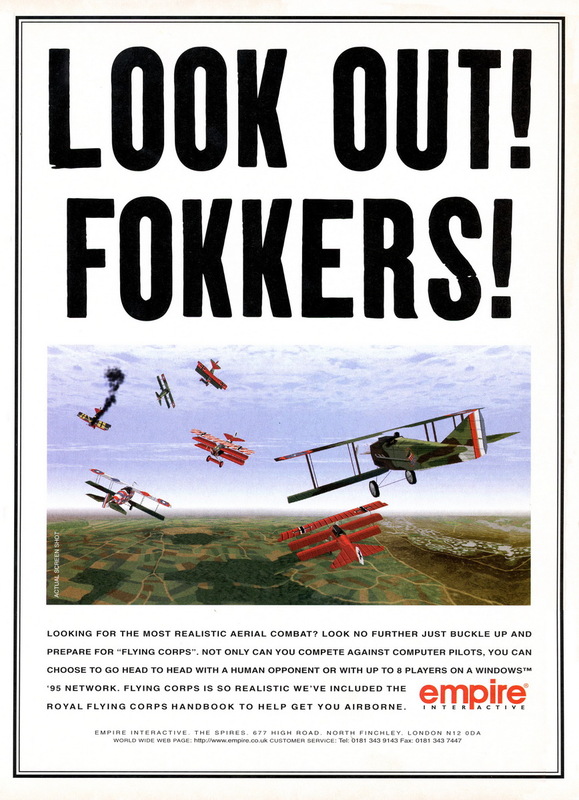 This was all before samplers and computers. 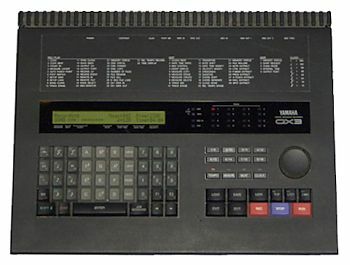 Finally when I started earning a decent wage, I bought my first proper synth on hire purchase, a Yamaha DX9. 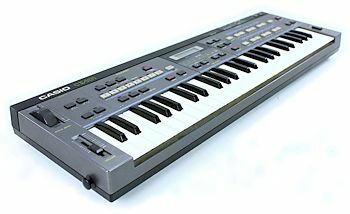 This was a slightly less powerful version of the DX7, which featured on many records in the 80s and could be seen most weeks on Top of the Pops. I had a BBC Model B computer which I produced some songs on, but as that had three monophonic sound channels and one noise channel (which could be used with one channel to produce a bass sound) I didn't use it for composing. 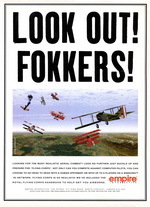 I did produce some cover songs, which I sold from the small ads in Acorn User magazine. They were very popular, and if you search for software to use with any of the BBC computer emulators for a PC, you will find a compilation of them. At this time I couldn't actually record any sequences using the keyboard, as I had no way of controlling it, but MIDI was to follow later on. As a way to get better drums, I borrowed a Sinclair Spectrum from a friend and bought the Cheetah SpecDrum, which was a hardware add-on that gave you real sampled sounds, loaded from tape as computer data. The only problem was that you had to use the software on the computer to sequence the sounds, and with only 48k available the patterns were very limiting. You had 8 sounds in total, but could only play three at any one time. The piece Ominen 2 had several variations, but the one here had the SpecDrum added, which meant everything had to be played manually, as there was no sync facility. By chance when I was in town one day I spotted an analogue synthesizer for sale in a second hand shop. It was a Jen SX-1000 and could produce real old analogue sounds. It came with paper templates to place over the controllers as a way of telling you how to set sounds. The lady in the shop thought it was faulty as it could only play one note at a time, but I wasn't going to correct her on that point. It came with an amp, which I didn't need so I managed to sell it afterwards. I walked to work and the synth and amp were too heavy to carry, so I convinced a friend to give me a lift home from work via the shop. A track from this time is called Don't Go '98. I created a soundfont from samples of the Jen SX-1000 and sequenced a slightly remixed version of a Yazoo song. The new way to control the synthesizers was MIDI, and with an EMR midi interface added to my BBC Micro I could record my own songs. The software was surprisingly good, despite having only 32k memory. I remember Vince Clarke demoing how he created songs when he first started in Erasure, and he used a BBC Micro, but with different software to mine. I added to my synth collection by buying a second hand Casio CZ-101. It has a mini keyboard but as I was using the DX9's full size keyboard as my master keyboard, that didn't matter. I expanded my sound with a Yamaha TX81Z, a synth with no keyboard solely controlled through MIDI and it was multi-timbral. I was able to create my own sounds, and some were published in one of the music magazines of the time, Music Technology (formerly Electronic & Music Maker). It was around June '89 that my Sweet Dreams sound was published in the magazine, based on the synthesizer sound from the Eurythmics song. I finally got a drum machine, another Yamaha product, the RX21. The sounds were tuneable and the sequencer was very good. To save memory on the BBC sequencer I would program the drum parts into the drum machine's sequencer and just trigger that at the start of the song, rather than recording all the parts. Using the MIDI clock signal they both ran in sync. 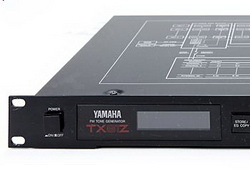 I soon found the limits of the software frustrating, and so invested in a Yamaha QX3 Sequencer. This had 16 MIDI tracks with a capacity for 48,000 notes. You could mute tracks or over dub in real time and the songs could be saved to 3.5 inch floppy disc. You could also save bulk dump data, so you could save the synth sounds. Most of this time I was using two Realistic Stereo Disco Mixers which I plugged my keyboards into, and routed into my hi-fi. Each of these used 4xAA batteries and had proper sliders, but if I forgot to turn them off after recording (which I often did) I would need to replace the batteries. A piece from this period is called Takt. I eventually went for a Fostex 2016 Line Mixer, which was a vast improvement. This allowed me to add many more instruments without worrying how to plug them in. I got my first effects unit shortly afterwards, an Alesis Microverb. This meant my drums sound in particular could sound much better, but I did upgrade the drum machine to a Roland TR-626. This had separate outputs for the sounds, so I could apply reverb to one instrument if I wanted to. I also have a vague recollection of getting an echo pedal to use as another effect. With all the inputs available on the mixer I could also use some odd vinyl tracks in my songs, going through the effect pedal. An example of what I produced at the time is a piece called Love Being Murdered. The chord sequence is based on the Propaganda track A Murder of Love. Lacking any real piano sound (the DX9 had one, but it was using FM synthesis to create it) I then bought a Roland EP5. This had a Piano, Strings, Xylophone, Vibes and Electric Piano. It responded to velocity so I could program emphasis in my sequences. The sounds were sampled based and very good and could be layered as well. It had a demo tune built in, The Minute Waltz, but it did not output any MIDI data when it played it, so I could not record the performance. A track from this time is Strings And. I used every string sound I had from the different synths at the time. The last synth I got was s Roland S-10 Sampler. This was a major leap in my music sounds and the fact that I could layer four sampled sound meant my music sounded very different. 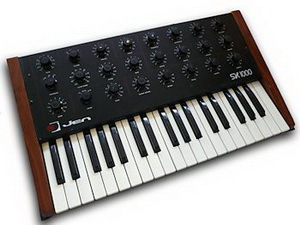 I would sometimes sample the SX-1000 as it had no sequencing ability, and no MIDI interface. As my compact disc player had a very good A-B repeat feature I also managed to add loops from CDs. Initially I didn't even have a microphone, so sampling real sounds w as either done using a pair of headphones or using a line in source. I had a portable tape recorder which I used to get sounds 'from the real world' and then sample them. On some occasions I re-sampled the sound when played back at a higher speed, to give longer sounds with a small loss of quality. Even though I could save the samples on the built in disc drive I could not recreate these songs when I went over to a complete PC based system, as I couldn't remember were I got the sampled sounds from. A track from this time is called 31 Seconds. The original version was created with samples from the S-10 and playing some vocals from a CD. Now all this time I hadn't really been using a PC, as sound output was limited to a poor FM synth. I didn't have a SoundBlaster card but a similar clone. Then I got a request from Creative Labs to review their new AWE32 Soundcard. I had been writing reviews for a computer club for many years and the press team must have got my name from there. The card was shipped over from Singapore and was a full length card. Apart from the wave table sounds using SoundFont technology, it also had space to add memory to the card to store more sounds. Using Cakewalk I could create the same music with samples and add different reverb or chrous to individual sounds. Playing the demo midi song Dance that came with the card really showed what great sounds this card could make. A track produced around this time is called Gate Effect. It uses a vast amount of midi controller messages to alter the volume level of a particular track to create the gate effect. As the standard sounds were not built in but loaded from a General Midi soundbank (later renamed to a soundfont), better sounds could be created. Another company creating alternative General Midi soundbanks contacted me to review one of theirs called Utopia. There were a few errors in the sounds which I pointed out to them and they created a fixed version. 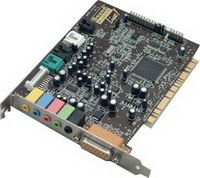 I later upgraded to a SoundBlaster Live card which gave better control over the sound. At around this time I started trying out some sound software called Dance e-Jay. 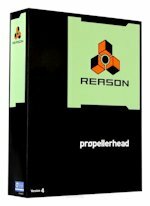 Professionally recorded loops could be sequenced and layered with a custom drum pattern (or another loop) and whilst the end results sounded great, they were limited by the samples all being recorded in the same key and following the same pattern. The tracks started to sound the same and when I created a new song it sounded like a remix of the previous one as it followed the same key changes. Still, different versions of the software were made, like Hip-Hop and House, and software has continued to florish. Deep Beauty was created using this software. Progressing onto the next piece of music software I found the virtual synth system called Reason. With different virtual synths, samplers and effect units I could create songs that were as good as professionally produced tracks. I could also use the SoundFonts I had created before as voices and import midi files. Several different effects could be added or chained together and you could also use a virtual vocoder. This is the software I use at the moment, with one of my keyboards connected with a USB to MIDI convertor to act as a master. One track updated using this is Future Beat. I also created a video for this uploaded to YouTube.